Continental Resources (CLR:NYSE), led by outspoken oil wildcatter John Hamm, has had a particularly challenging few year after the collapse in energy prices halted profitability and forced the company to slash capital expenditures and create a capital buffer to weather the ongoing storm. 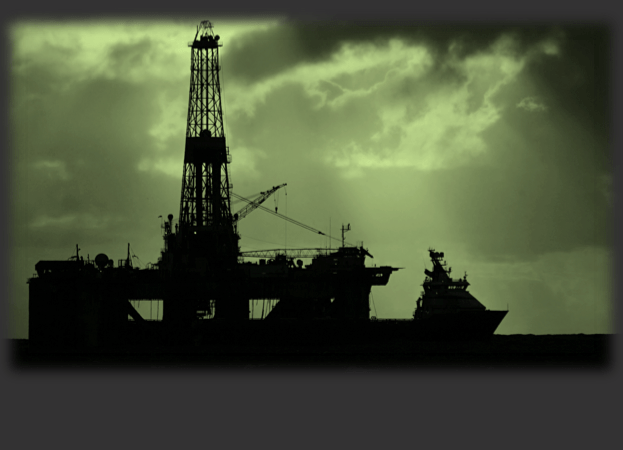 Now that oil prices are in the process of rebounding there is more breathing room for the company’s financials, however, one problem that may be resurgent as the company ramps production higher is the possibility of increased environmental backlash. As time passes and the process is more thoroughly studied, it is becoming progressively more evident that there are serious ecological implications from the wastewater disposal process, a development that could create higher costs for companies operating in tight oil plays or consequently force them to end the practice altogether, rendering companies like Continental Resources worthless. On a more global scale, the movement to ban fracking is gaining traction. The latest example of a region to ban the practice citing ecological concerns is Scotland, which voted earlier in the month to permanently prohibit hydraulic fracturing. Across the European Union the practice has been barred, with only the US, Canada, Argentina, and China using the process on a commercial scale. Mounting negative publicity has even seen certain US States such as New York outlaw the practice based on the amount of pollution and damage it causes. Besides potentially contaminating groundwater resources and poisoning surrounding communities depending on these vital supplies, fracking has been linked to an increased incidence of earthquakes. Scientists in Harold Hamm’s home state of Oklahoma were rebuffed a year earlier on their claims of fracturing stoking amplified seismic activity. According to studies conducted by the Oklahoma Geological Survey, earthquakes increased 400-fold in recent years, a development widely attributed to wastewater wells. Once water has been used in the process, it cannot be reused, necessitating the drilling of wastewater wells were the fluids contaminated by the process are stored. Besides potentially creating more seismic activity, if the well leaks into aquafers, the damage to the local population and wildfire can be very serious. The various forms of pollution have been attributed to higher rates of illness, however, it is still too early to completely understand the scale of negative impacts from the process. While Hamm has dismissed the claims, the backlash might continue to grow as time passes, creating an untenable solution for shale producers if they cannot find a way to safely dispose of their waste. Increased environmental risks will also create increased costs for these producers down the line if they are held accountable, adding to the overheads and raising breakeven prices for producers in tight oil plays like Continental Resources. Even though Continental’s shares have seen a demonstrable rebound in line with higher oil prices over the last few months, much of the gains are incrementally tied to higher prices. 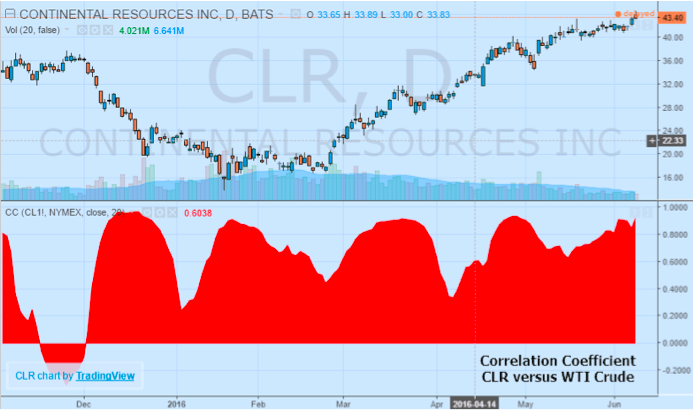 Looking at the correlation coefficient between the company’s shares and oil prices underlines this direct relationship (coefficient is nearly 0.925 out of 1.000, indicating a very significant relationship). Additionally, strong results and low drilling costs in the Oklahoma Stacks play are helping the company to reap the upside benefits of higher prices. However, much of the gains in oil prices can be attributed to recent supply disruptions across the globe from Canada to Nigeria. Should this production come back online quicker than anticipated, it could see the supply imbalance once again prevail. From the demand side, there are reports that China is tapering its own demand with imports dropping for a four-month lows. Year over year through April, oil demand for the nation shrank by -1.30%, indicating that expectations of growing demand to soak up excess supply is unlikely. With production edging higher in the Middle East and more American producers to come back into the fold with rising prices, oil prices might be set for another leg lower. According to the latest Baker Hughes figure, horizontal rigs rose by 5 and vertical rigs fell by 1 according to the June 3rd report. If prices remain elevated, more producers are likely to resume production at costlier plays in an effort to repay debt obligations, bringing supply concerns back to forefront of the energy price discussion. Continental Resources managed to keep net operating cash flow positive during the first quarter, helping to offset concerns that the current debt pile is unmanageable. Additionally, the company has no regular dividend that would deplete the company’s existing cash pile, helping to offset concerns about debt-servicing obligations. However, earnings per share have worsening over time, mirroring the decline in oil prices. While the rebound over the second quarter may help boost this current quarter’s results, delivering value to shareholders will be contingent on energy prices flattening at current levels or higher. Another downswing could see that value evaporate quickly, and short sellers are clearly out for blood considering a short interest of 27.75% in the shares (as of 5/13/2016). With so many investors bearish on the outlook, the risk of value investors getting involved is several percent of upside for substantially more significant downside. Should the energy supply imbalance reemerge in the coming months the nearly 311.00% rally from 52-weeks lows could quickly reverse, keeping the pressure on shares to back to $30.00 or less. Even if energy prices continue to climb, the rising environmental sensitivity issues could hammer shares, especially if producers are forced to change tactics towards more ecologically friendly practices. If resistance to fracking continues to rise across the US and globally, Continental Resources will be under pressure to innovate and spend more to protect safety, a cost the company can ill-afford at current prices.